2nd Ten Photos to Shake the World opens today! Happy Monday morning everyone! 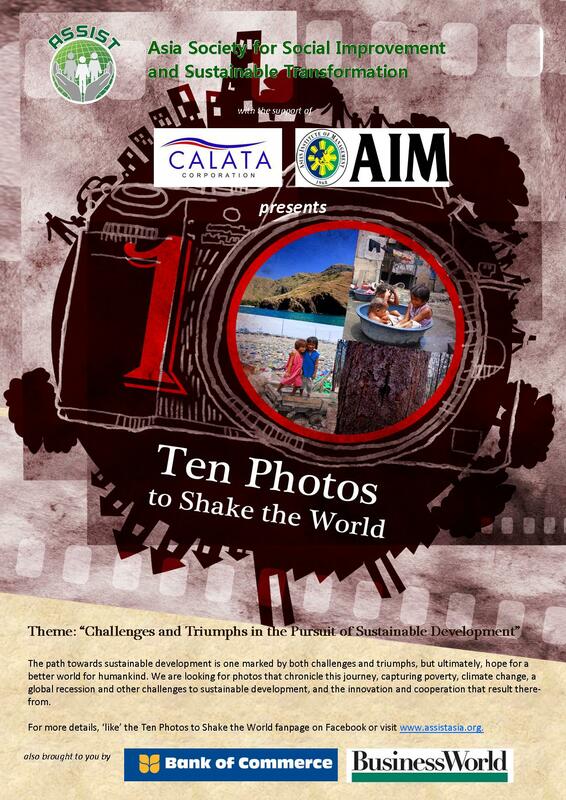 🙂 We are accepting entries to the 2nd Ten Photos to Shake the World National Photo Competition starting today until September 13, 2012. This year’s theme is: Challenges and Triumphs in the Pursuit of Sustainable Development. Visit and ‘like’ the TPSW Page to know more! CONSERV (Conservation of Environment Resources in Vietnam), a Public Private Partnership (PPP) Project implemented by the Asia Society for Social Improvement and Sustainable Transformation (ASSIST) held three Training of Trainer (ToT) Workshops last April 9-11, 12-14 and 16-18. Conducted to help the Resource Efficiency and Cleaner Production (RECP) team in factories understand the basic concept of RECP and PDCA methodology, the training sessions also focused on techniques to save energy, water, and manage waste and hazardous chemical safety. They were led by Senior Cleaner Production Expert Dinh Manh Thang, Cleaner Production Expert Nguyen Le Hang and Tran Duc Chung, along with Puma Project Manager Edel Enit and Hongkong-based Sustainability Manager Sonja Gottschlich. Covered by the program were the three different divisions of Textile, Garments and Leather industry: Footwear, Accessories and Apparel. Aside from the traditional knowledge transfer, the training program also incorporates experience-sharing, case study and field trip to the factories on the third day. This way, the trainees found opportunities for applying their knowledge in finding potential improvements. After working in groups, they presented their findings and possible solutions for the case study, teaching them how to do the internal audit at their own factories. As part of the SHIFT Indonesia Project, Asia Society for Social Improvement and Sustainable Transformation (ASSIST) Project and Grants Management Unit led the GREEN IT and Certified Data Security Specialist (CDSS) Training Program in Bandung, Indonesia last April 16 and April 17-19, respectively. Information Technology (IT) specialists from Telkom subsidiaries participated in the two training programs. The attendees were selected from the earlier 3-day technical training program on ISMS and PCI DSS to ensure that they already have sufficient background and technical experience needed for implementing the standards and conduct echo trainings. At the first event, participants were introduced to the concept of the Green IT as well as the business benefits of adopting it as a strategy. The CDSS Training Program, on the other hand, provided the participants with knowledge on how to develop and certify local trainers on data security, emphasizing on competency enhancement of IT professionals on requirements for complying with ISO 27001 and PCI DSS standards. Moreover, Mr. Kamesh Ganeson, ASSIST’s Partnerships and Network Management served as the speaker for the Green IT event while Ms. Daksha Malli, Team Leader for Compliance, Institute for Information Security (IIS) led the discussion on the CDSS Training Program. SHIFT Indonesia project by developing local capacity on international standards on information security. Meanwhile, the Green IT training is an additional training (not part of commitments / project indicators) introduced by ASSIST and PT TUV Rheinland Indonesia to introduce the latest initiatives on making IT industries environmentally-responsible. The two trainings wrap up the activities for the Project SHIFT Indonesia. In May, the project leaders are planning to hold the Best Practice Forum. SHIFT Indonesia is a PPP that aims to qualify and ensure compliance of merchants and other service providers with international security standards, norms and procedures, especially PCI DSS and ISO 27001. EQUIP BPO (Enhanced QUality and Information security Program for Businesses and Professionals in the Outsourcing sector) ended with a Best Practices forum at the Crowne Plaza, Ortigas last March 16, 2012. Jointly implemented by Asia Society for Social Improvement and Sustainable Transformation (ASSIST) and TUV Rheinland Philippines and in collaboration with the Business Processing Association of the Philippines (BPAP), the EQUIP BPO initiative seeks to equip the BPO/ITES firms with the necessary technical and managerial skills to adapt to challenges on quality, health and safety, and information security practices. TUV Rheinland’s Tristan Loveres welcomed the attendees while BPAP’s Raymond Lacdao delivered the Keynote Address. Five participating companies provided a presentation on their experience and learning during the project, especially in terms of quality and information security program management: B&M, Maersk, Ericsson, NATCCO and Itech. Mr. Murali of ASSIST delivered the closing remarks. Attendees include NATCCO, Global Payments Processing Center, Ericsson, Itech Business Solution, B&M Global Services Manila, TDG, Emerson, BPAP, UP-ISSI, Maersk Global Service Center, GSM, PC Craft Computer Technologies, Foundation for IT Sustainability, Amdatex, and ECCI. Asia Society for Social Improvement and Sustainable Transformation (ASSIST) is among the participants of the UN Environmental Programme (UNEP) Expert Workshop on Awareness and Preparedness for Emergencies at Local Level (APELL) and Responsible Production held in Bangkok, Thailand last February 29 to March 2, 2012. 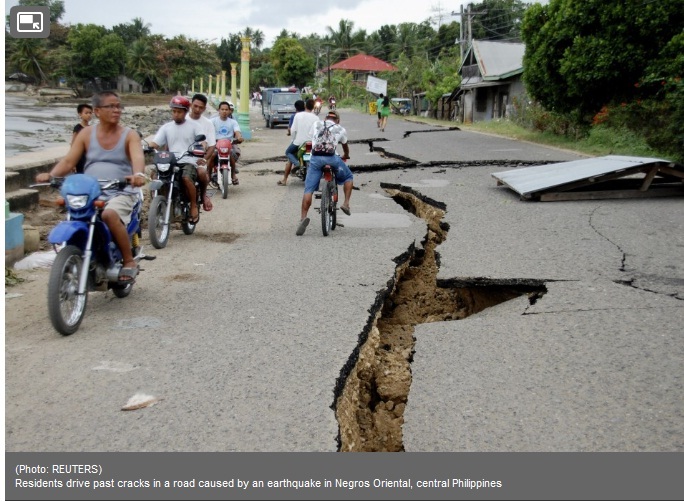 Earthquakes, typhoons and other emergencies highlight the need for APELL. The event served to raise awareness among public and private sectors in Thailand on the effectiveness of the APELL approach for improving local level preparedness to industrial and natural hazards and to build capacity of experts from both the government and the private sector in Thailand to carry out training activities that will adress capacity building needs of industrial SMEs. Around 60 practitioners from government agencies, industry associations, chemical industries, including SMEs, academia, consultants and individual experts attended the event. Through the event, UNEP hoped to (1) build participants understanding of the main concepts behind Responsible Production adn APELL (2) equip participants on the proper use of the UNEP RP Toolkit, Learners and Trainers Companion and (3) identify potentail trainers in the country to replicate trainigns on RP nationwide. The APELL process is a methodological tool focusing on the identification of possible manmade and natural hazards, on awareness raising, and on the establishing and strengthening of local capacities for immediate, multi-party responses in the event that an emergency occurs. Since its development in the mid-1980s, APELL has been implemented in more than 30 countries and 80 communities worldwide. Managing Director Sreeni Narayanan and Group Associate Mahnaz Zanganeh attended on behalf of ASSIST. In inviting ASSIST, UNEP recognizes the organization’s efforts at greening the industries. Among these is the Systematic Engagement to Culture Responsible Enterprises in Gujarat (SECURE Gujarat), a Public-Private-Partnership (PPP) Project funded by German Development Bank DEG, which aims to explore how Responsible Production (RP) Framework can be mainstreamed in India’s rapidly growing economy. 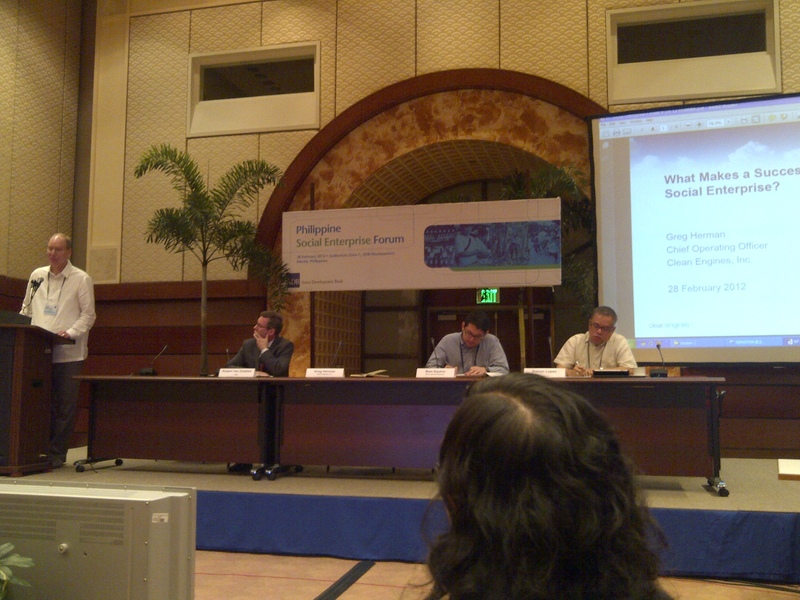 Asia Society for Social Improvement and Sustainable Transformation (ASSIST) is glad to have joined the Asian Development Bank (ADB) Social Enterprise Forum held last February 28, 2012 at the ADB Headquarters, along with representatives of social enterprises, impact investors, NGOs, corporate foundations, development agencies, and the Philippine government. The forum served as a venue for 1) sharing insights on the regional and Philippine social enterprise landscapes, 2) showcasing examples of promising social enterprise models with prospects for growth and replication, 3) identifying possible resources for social enterprises seeking to scale up their activities, and 4) providing a platform for Philippines social enterprises to connect with domestic and international impact investors. The day-long affair began with Bart Édes, ADB Director for Poverty Reduction, Gender and Social Development Division welcoming the participants. Harvey Keh, the Director for Youth Leadership and Social Entrepreneurship of the Ateneo School of Governance then spoke on the State of Social Enterprises in the Philippines. This was followed by four sessions led by esteemed panelists: Characteristics of a Successful Social Enterprise, How to Scale Up a Good Idea: Replication and Expansion, How Emerging Social Enterprises can Attract Capital and Nurturing the Philippine Social Enterprise Ecosystem. Asia Society for Social Improvement and Sustainable Transformation (ASSIST) is proud to have been selected to provide technical services to aid Sterlite Industries (India) Ltd in implementing ISO 50001 Energy Management System. 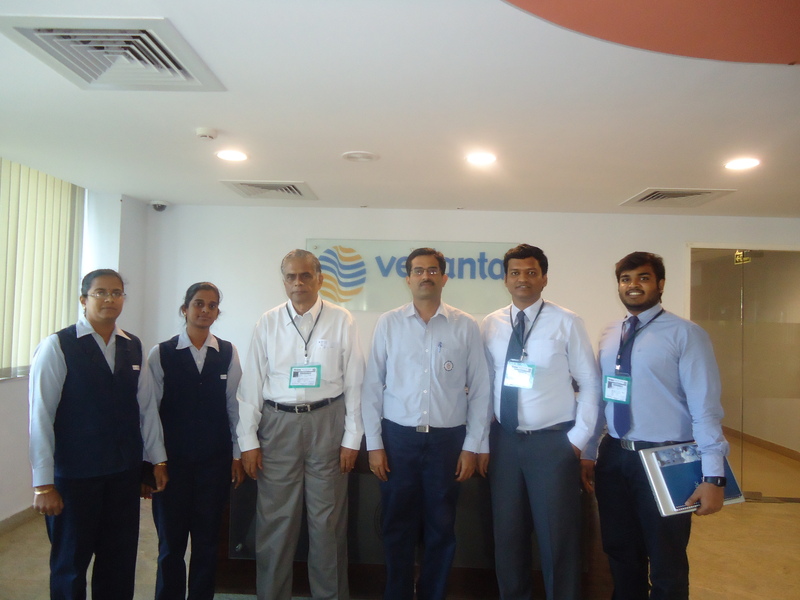 The initiative was formalized in a project launch held at Sterlite’s Conference Room in Tuticorin, Tamil Nadu, India. Through this initiative, Sterlite will oversee two plants located at Tuticorin and Silvassa in setting up energy efficiency measures and ensuring compliance wth ISO 50001. During the launch, ASSIST Projects and Grants Management Director Sathappan Sathappan presented the project overview. Afterwards, ASSIST and Sterlite engaged in a detailed project planning session. Tags: EMS India, India EMS, India energy, India energy management, India ISO 50001, India ISO standards, India metals, India mining, India mining industry, Indian mining, Indian mining industry, ISO 50001, mining in India, mining industry India, sterlite, Sterlite India, Sterlite Industries, Sterlite Industries India, Sterlite Industries Ltd India, Sterlite Industries Ltd.
Central Visayas Fisherfolk Development Center Inc.